A part of DC Universe Rebirth! New York Times best-selling writer Greg Rucka continues his return to WONDER WOMAN! Rucka is joined by fan favorite artist Liam Sharp as Diana’s life is unraveling around her. 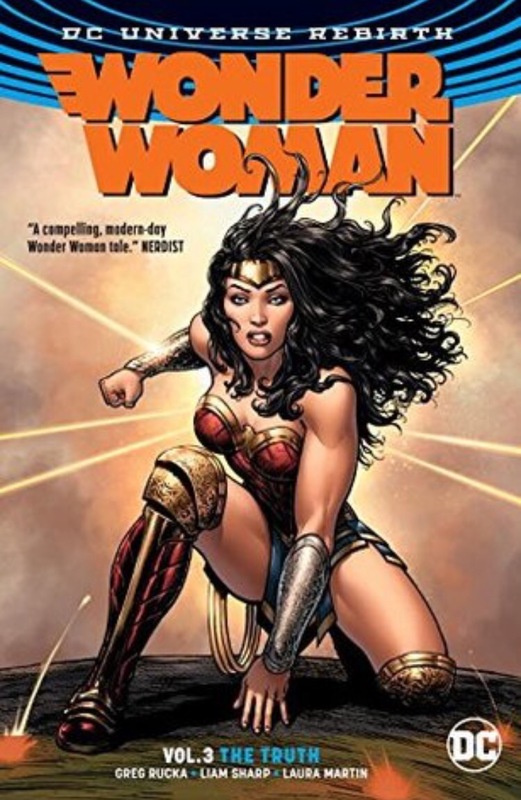 Diana’s search for the truth about herself, her history, and her home Themyscira, takes her on a journey into darkness. But the price of understanding may be one sacrifice too many for Wonder Woman. This is another great Wonder Woman graphic novel. This one is a continuation from the first volume, where Wonder Woman was seeing things that weren’t there. Now, Diana has been put into a hospital, where she speaks to a worm/snake in her arm (yes, it’s that strange). Each comic in this volume created a great story arc. Diana enters the hospital at the beginning, and is there for most of the story. Steve, Etta, and Barbara Ann work together to get Diana out, but they end up on opposite sides of the conflict in the end. There are also glimpses of her mother in Themyscira in this story. I liked this graphic novel, and I look forward to the next one. The fourth volume in this series is coming out in a couple of weeks, so I will be reviewing it then!